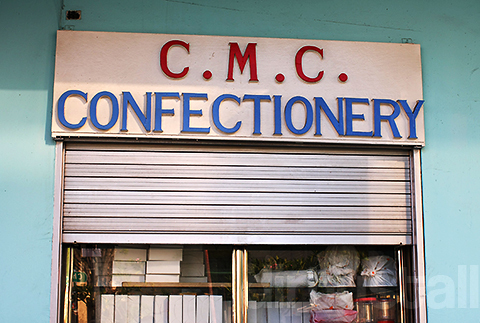 CMC Confectionery is one of those institutions in Singapore that retain the memories of the past. I first saw this place in the “Old Places” documentary that was produced by Royston Tan, and it had such a poignant feel that I just wanted to visit it to see for myself. It is indeed a place steeped in nostalgia, although it was so bustling and crowded that it lost a bit of that feel to me. The interior is furnished with the ancient display cabinets of yesteryear, and the old tiles with the pitted marble tables reminds you how old this place is. 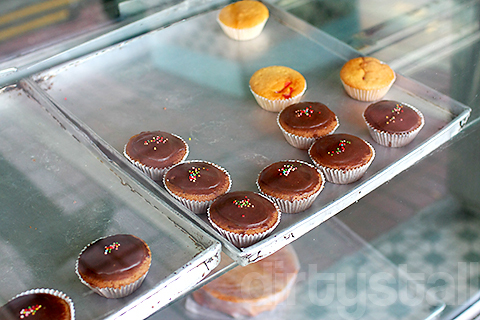 A lot of the cupcakes and buns are self-serviced from the display cabinets, not a usual practice elsewhere. Trays of buns were replenished quickly each time they were sold out. 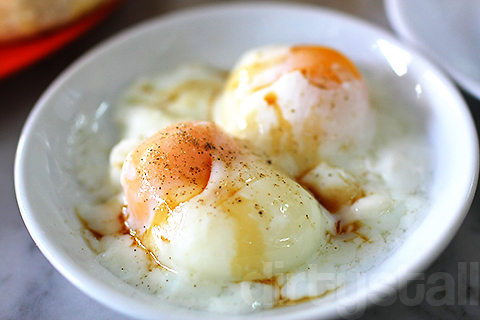 The soft-boiled eggs were alright, nothing special. 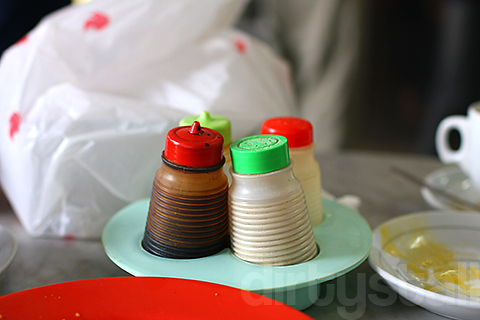 It’s a pity that when I was there, all the kaya was sold out so I couldn’t have the kaya toast which seems to be the most popular thing there, as many people were there just to tapow it home to eat, but they left disappointed like me. The rest of the food there was pretty alright to me but it’s not really a place I’d go back to again, since it’s amazingly far from my house. But it was worth the visit though, just to get a glimpse of the past! 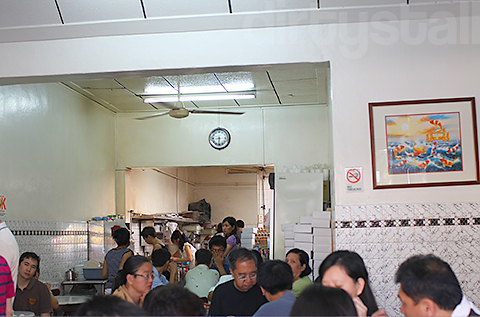 8 Responses to "Chin Mee Chin Confectionery"
The homemade kaya is really good! Thick & rich! 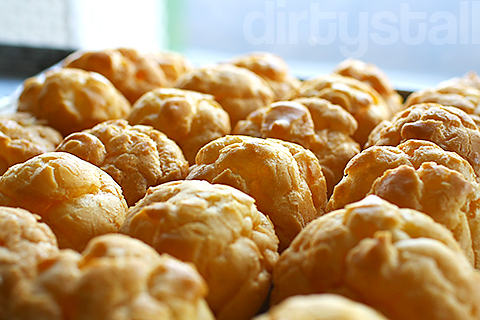 did you manage to try their custard puffs? i heard that they’re quite good. Oh yeah I did try them, quite nice actually! Oh I did try their luncheon meat buns, not too bad but could have done with more luncheon meat! Didn’t see any hot cross buns while I was there unfortunately. I like the coffee at CMC. The cakes and pastries taste good when you are sitting in there while sipping the coffee. Nostalgic Power! Indeed! The atmosphere is very nostalgic!